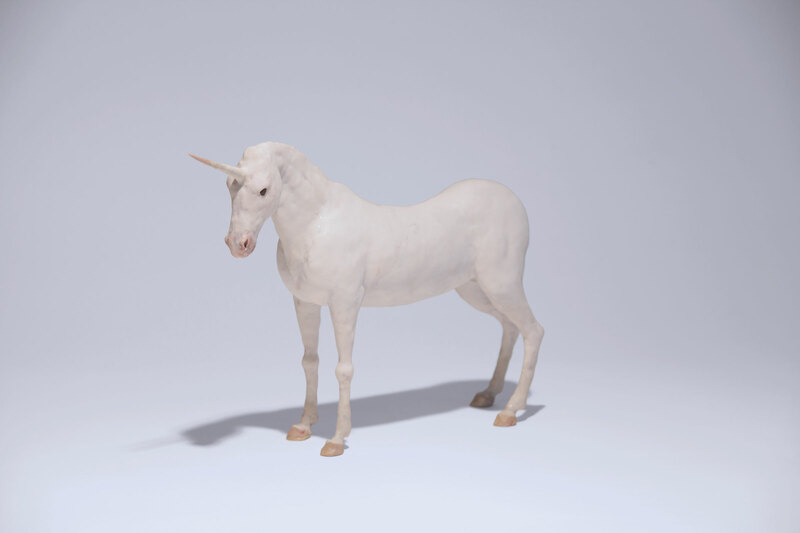 In the 16th century and later on in the contemporary period, the unicorn arouses many fantasies and is the subject of a an absolute fascination. The Exhibition Magiques Licornes shows how artists have been inspired by this legendary animal, creating a great variety of illuminated, engraved, carved or photographic works. For this exhibition, the gallery lends a sculpure by Miguel Branco, who has always worked from images drawn from the history of art. The Portuguese artist creates fascinating interpretations of the animal world and its modes of representation throughout the 16th century.